The Yucatán Peninsula is in southeastern Mexico, separating the Caribbean Sea from the Gulf of Mexico. Its name comes from a Yucatec Maya word meaning "I don't understand what you're saying," supposedly what the locals answered to the Spanish as they "explored" their land. There's a lot to do, and here's a rundown! Secret beaches with insane ceviche plates, quiet corners, shopping, amazing restaurants, and sunset parties. This is where we'd recommend you stay before or after the wedding festivities. More on the place here. ← Clark at the secret beach, post lobster ceviche. are insane sinkholes you can swim in. The peninsula is littered with thousands of them. We've only been to the Gran Cenote and Ik Kil, but the following also look amazing: Azul, Dos Ojos, X'kekén y Samulá, and Yokdzonot. Chichén Itzá was one of the largest cities in the Mayan civilization. 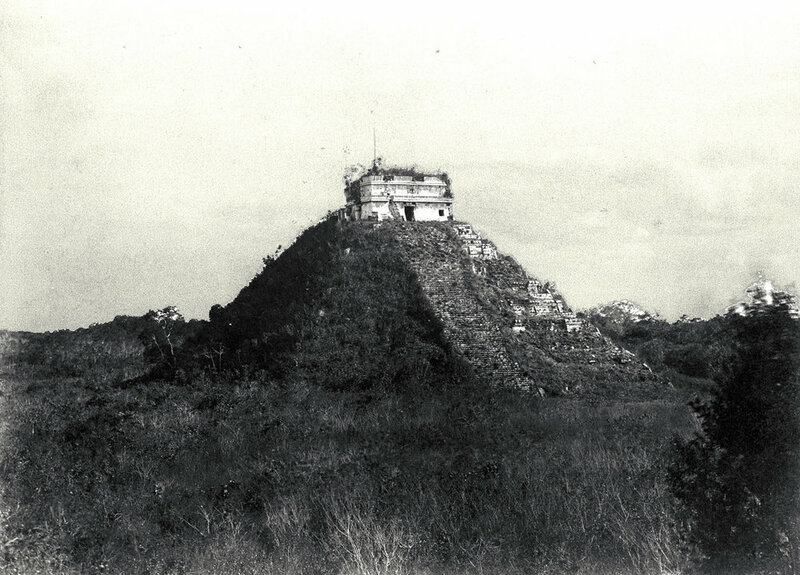 Its central structure, El Castillo, is a commanding pyramid thousands of years old. Should we have gotten married-a in Mérida? Womp. Mérida is the state capital of Yucatán. It's a rich blend of Mayan and colonial heritage. It's also known for its markets where straw hats and huaraches run a-plenty! Coqui Coqui also has their most decadent boutique hotel there, if anyone wants to take a side trip after the wedding. It's kind of a long drive from Tulum and the coast (3 hours), but is a lot more accessible coming from Valladolid (2 hours). is a damn magical place. It's the site of our welcome dinner. We almost had the wedding here but there weren't many places for guests to stay at in the middle of the jungle. It's a quick butterfly-filled drive from Tulum or Valladolid, and is home to beautiful Mayan ruins. ← Paulina drinking rose by a pyramid pool at Coqui Coqui. 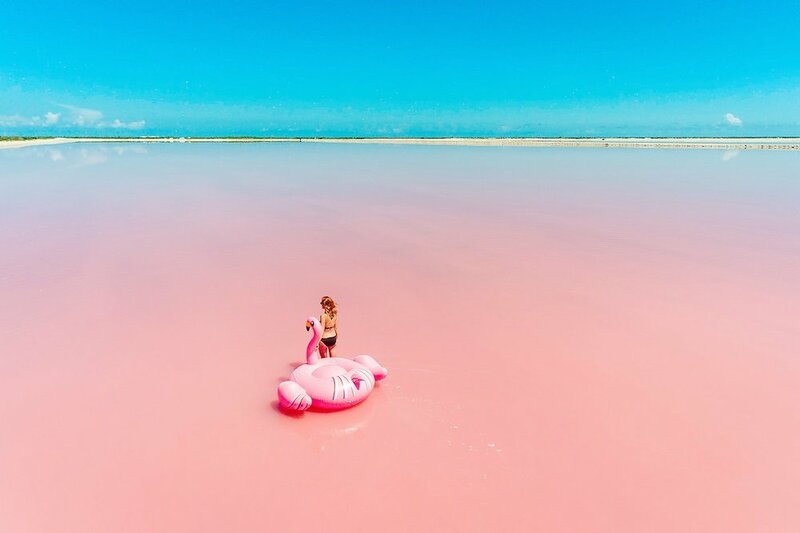 A fishing village that also has the densest concentration of flamingos in Mexico (about 3 flamingos per person) and a number of Instagram-ready pink lakes. Above is Las Coloradas. Playa del Carmen is a coastal resort town known for its palm-lined beaches, coral reefs, shops, and restaurants. Geographically, it lies in between Tulum and Cancún. Vibe-wise, it's kind of in between both, too. More here. Important: if you're driving from Cancún airport down the coast, make sure you stop by Los Aguachiles in Playa. Tostadas tdf. Def the most touristy spot along the Riviera Maya, but certainly not one to write off. Cancún is where you go to avail of ridiculous all-inclusive deals that entail limitless amounts food and tequila. More here. It's also where you can swim with an expansive mass of underwater sculptures. February isn't high season for the Yucatán, but if you generally prefer quieter places to stay, maybe come for a visit but don't stay here.